Ahead of its release next week, production company Reality Entertainment has unveiled the full trailer of their newest horror offering, ‘Second Coming’, and it was nothing short of petrifying. The official trailer of ‘Second Coming’ promises a good horror film from versatile actress Jodi Sta. Maria this year. Ahead of its release next week, production company Reality Entertainment has unveiled the full trailer of their newest horror offering, ‘Second Coming’, and it was nothing short of petrifying. 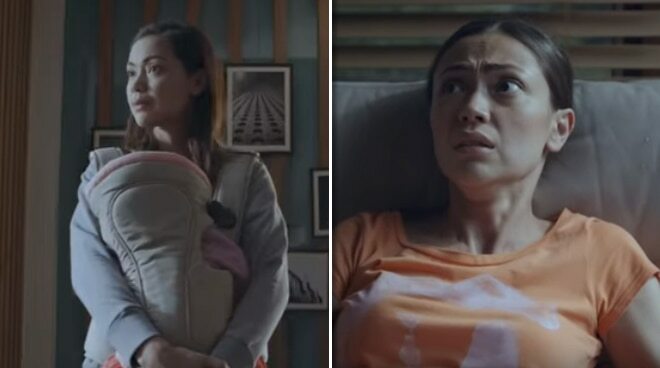 As shown in the clip, the flick follows the story of a stepmother (played by Jodi) who, after moving in the home of her husband (Marvin Agustin), is haunted by spine-chilling episodes through her possessed stepdaughter, Imee (Angelica Ulip). Aside from its top-billing characters, the film is joined by screen veterans John Arcilla and Bing Loyzaga, as well as rookie Queenie Rehman. Catch ‘Second Coming’ on Wednesday, February 27, in all cinemas nationwide.